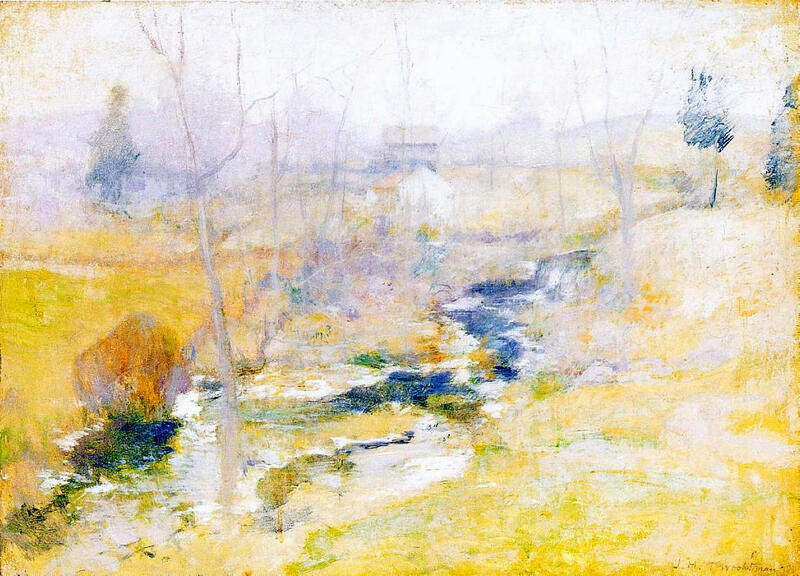 John Henry Twachtman (1853-1902) was born in Cincinnati, in 1853, to German immigrants. 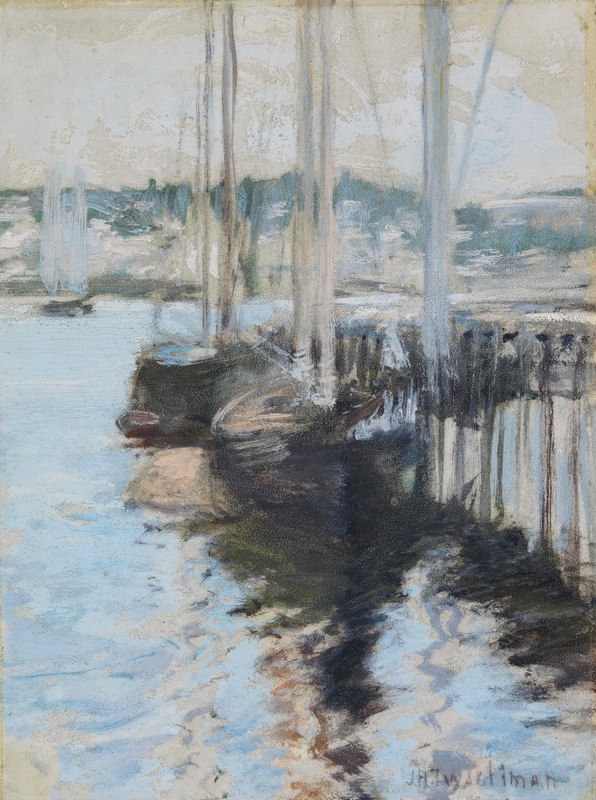 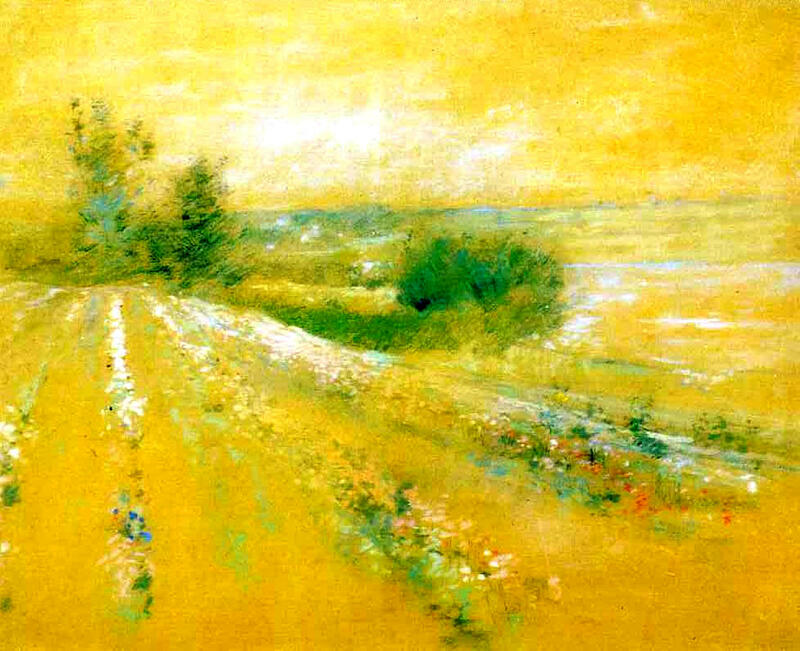 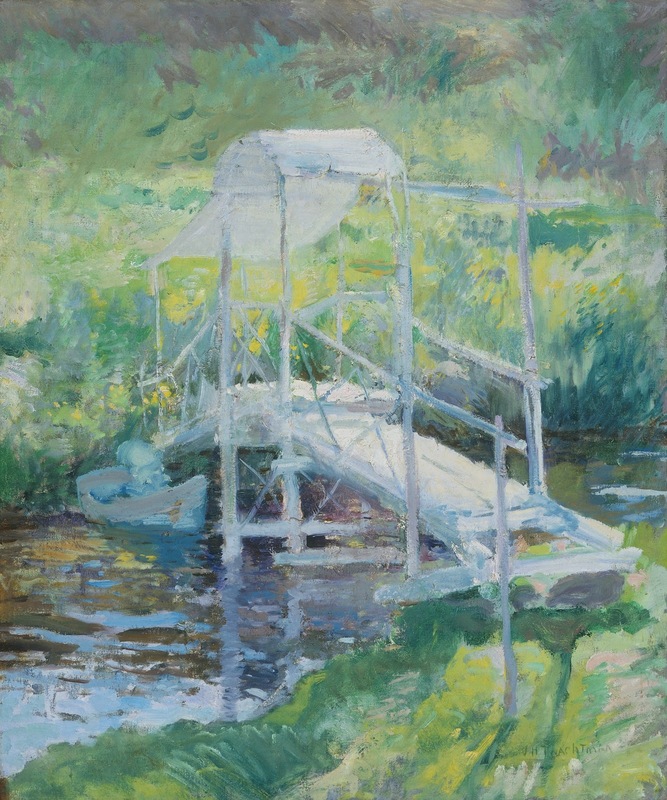 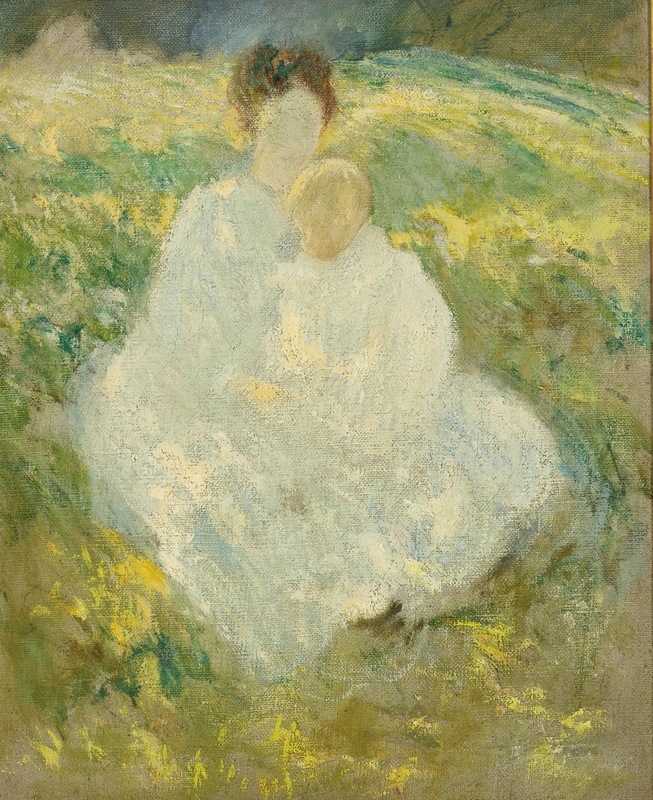 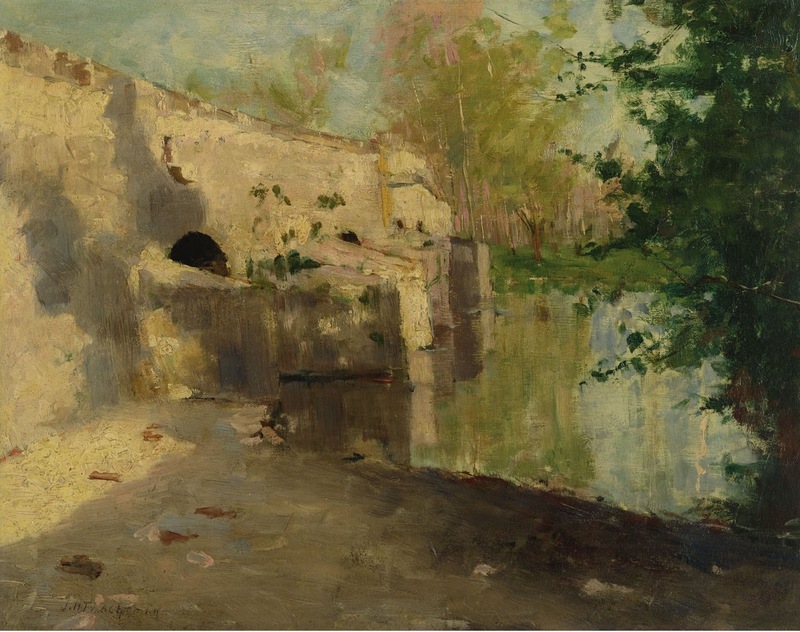 Among the various jobs that Frederick Twachtman took to support his family was that of window shade decorator, work that young Twachtman also assumed when he was fourteen years old. 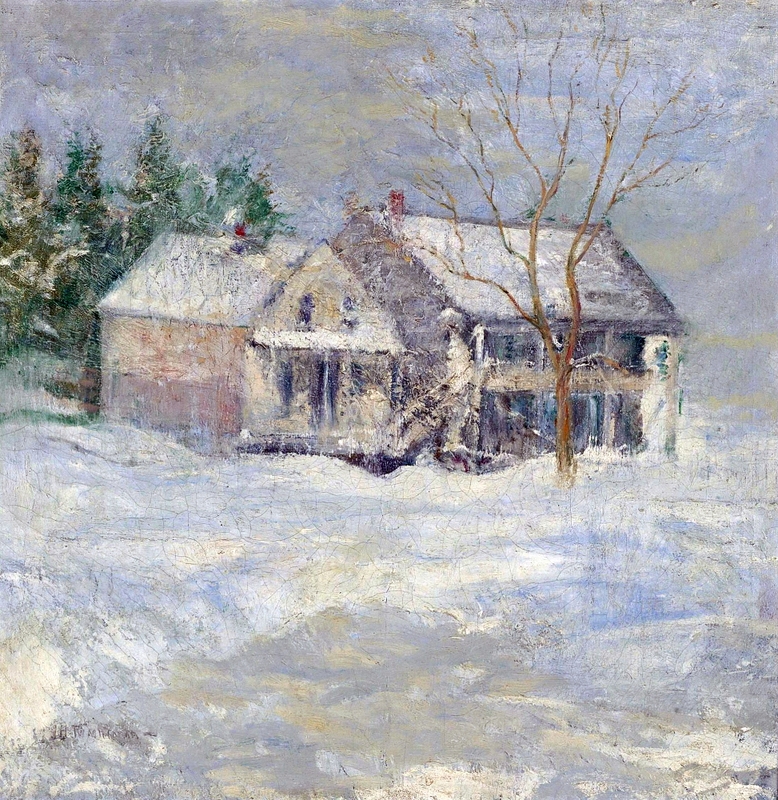 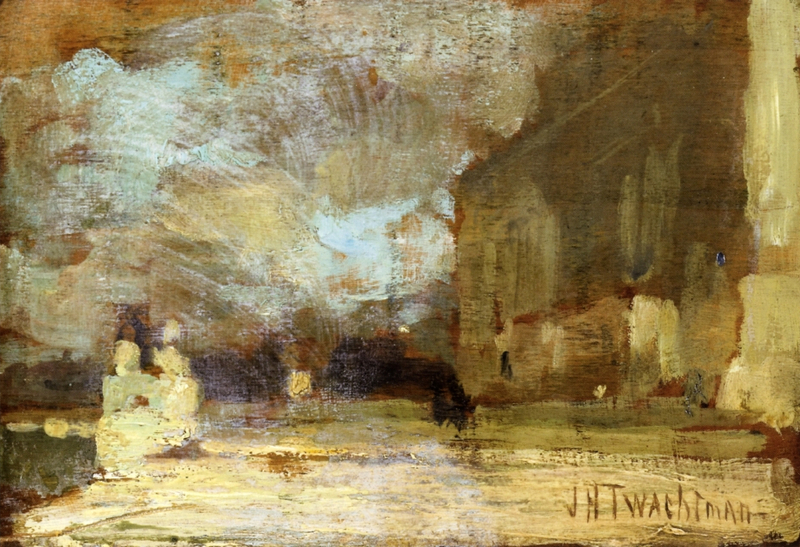 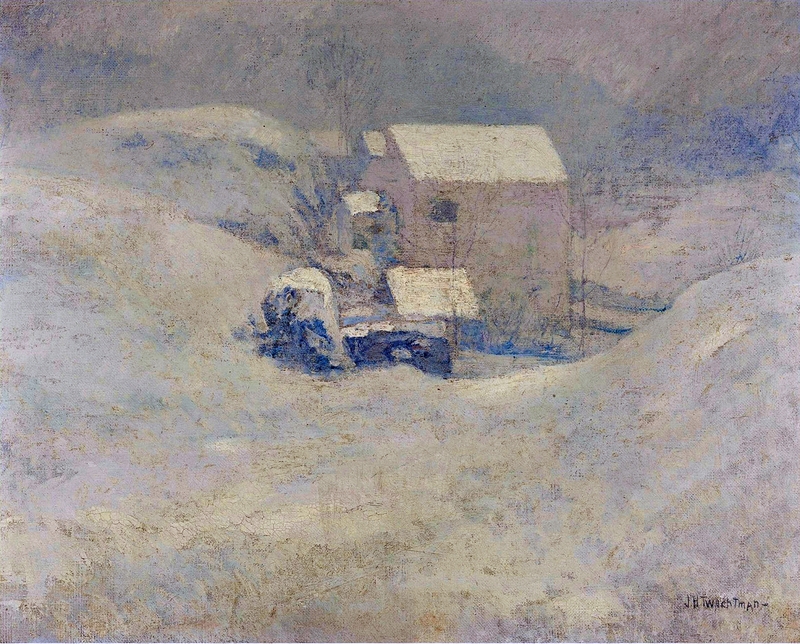 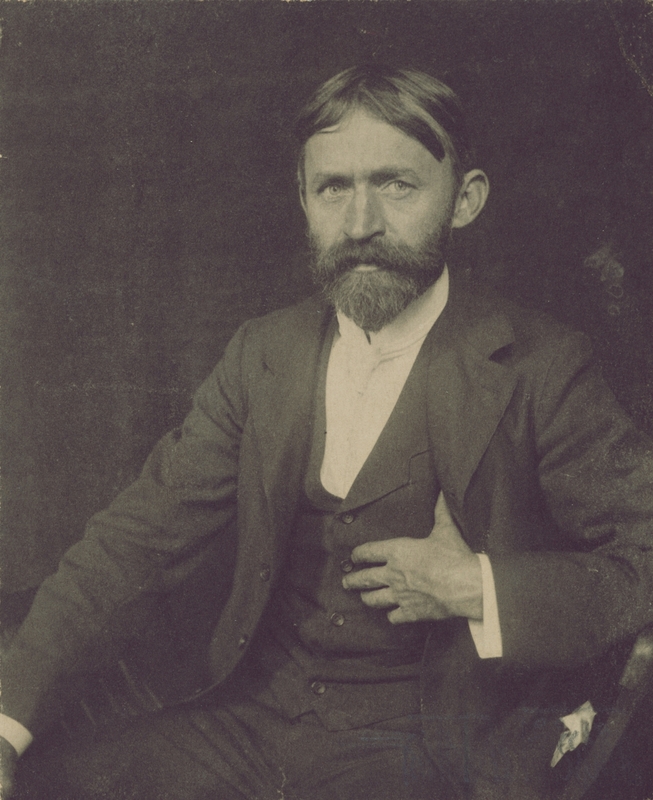 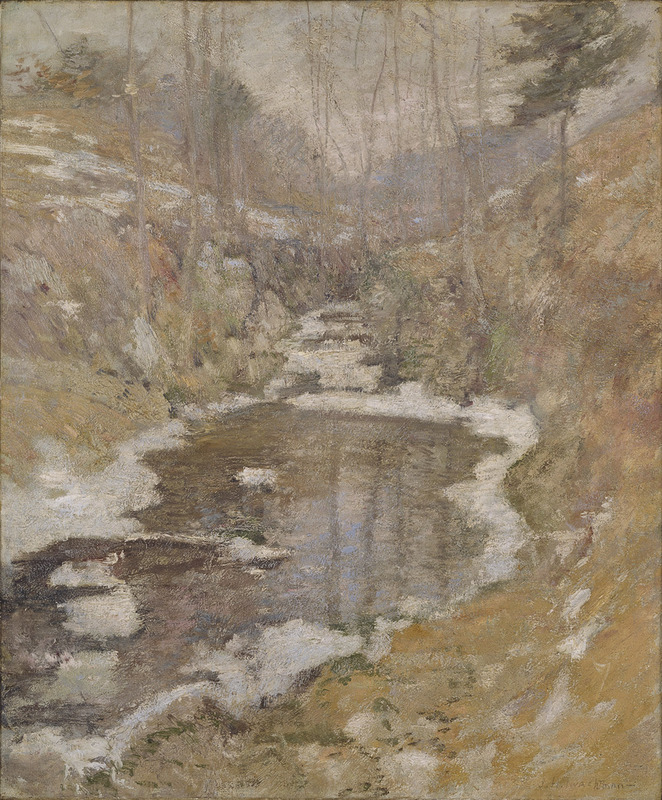 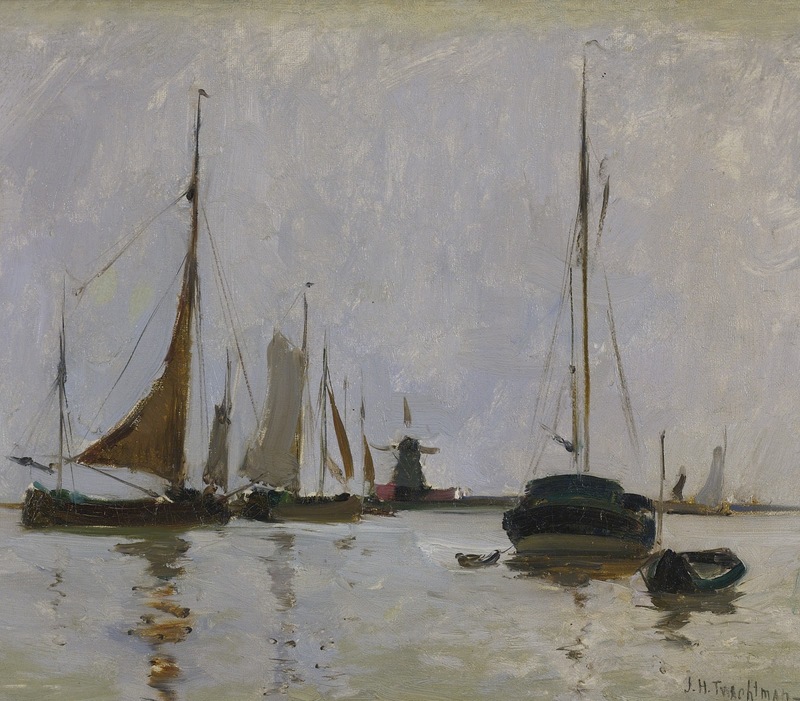 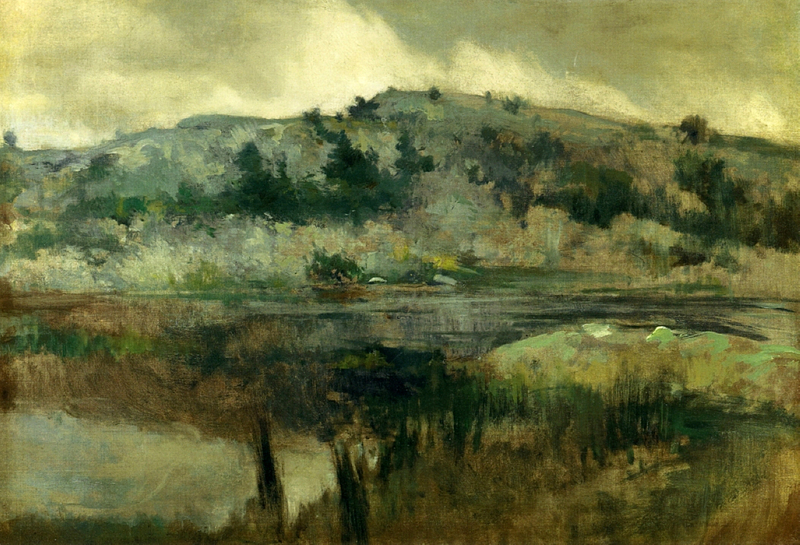 Concurrently, John Twachtman attended classes at the Ohio Mechanics Institute. 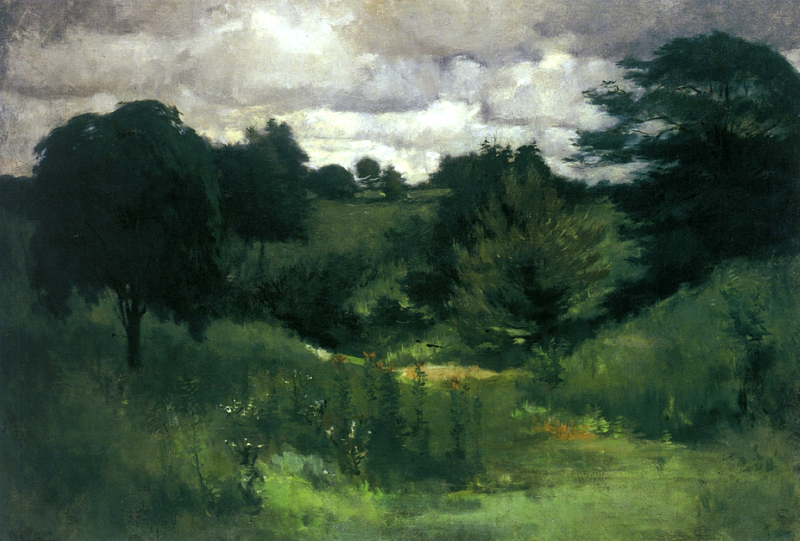 After 1871 he was enrolled part-time in the McMicken School of Design, where he met Frank Duveneck. 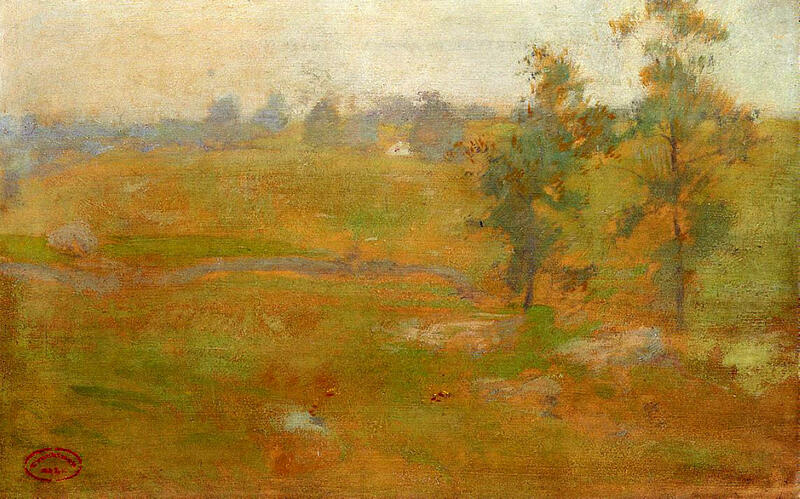 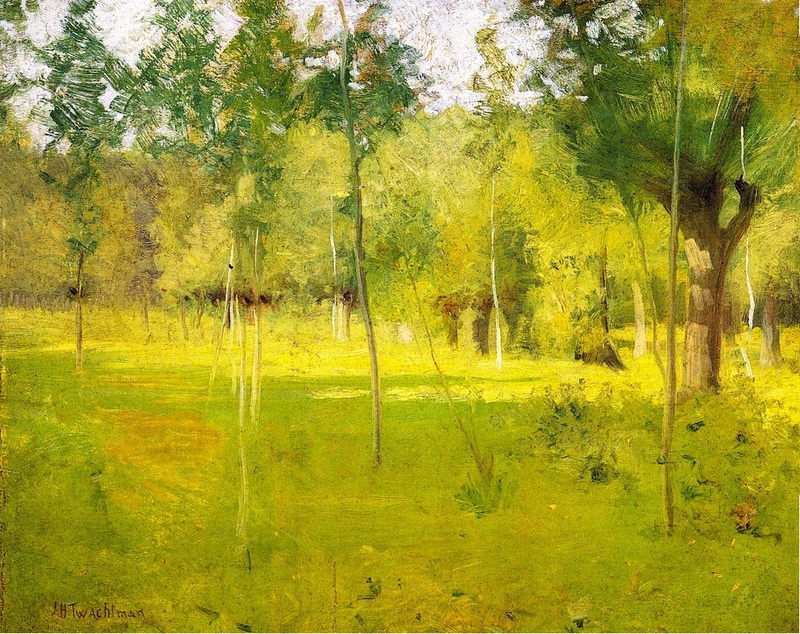 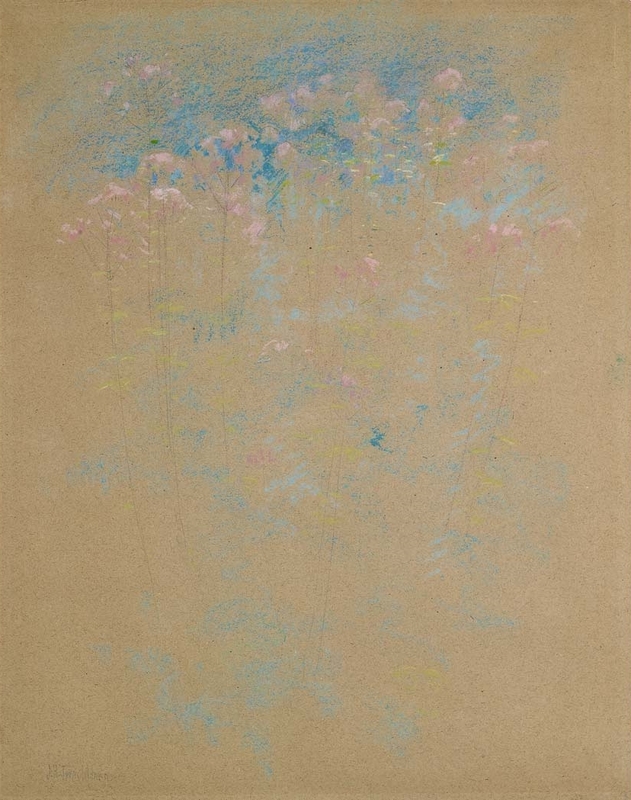 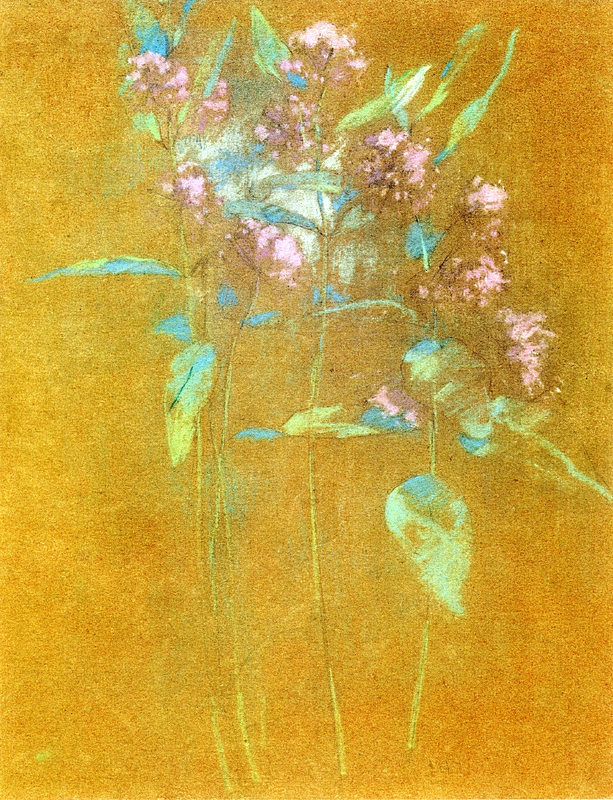 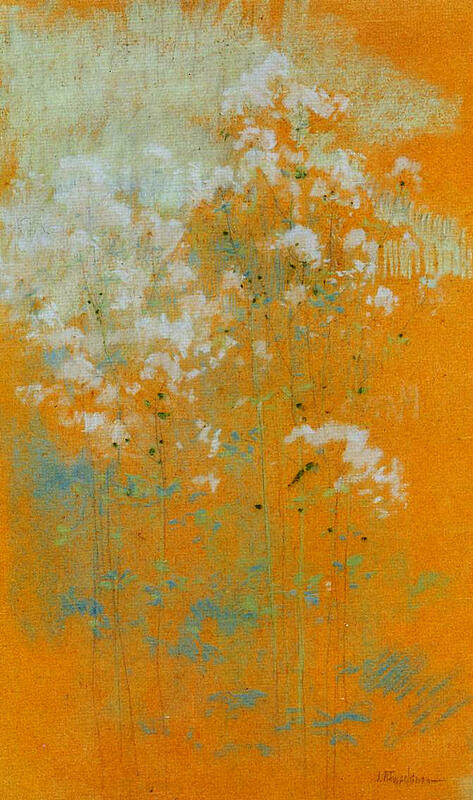 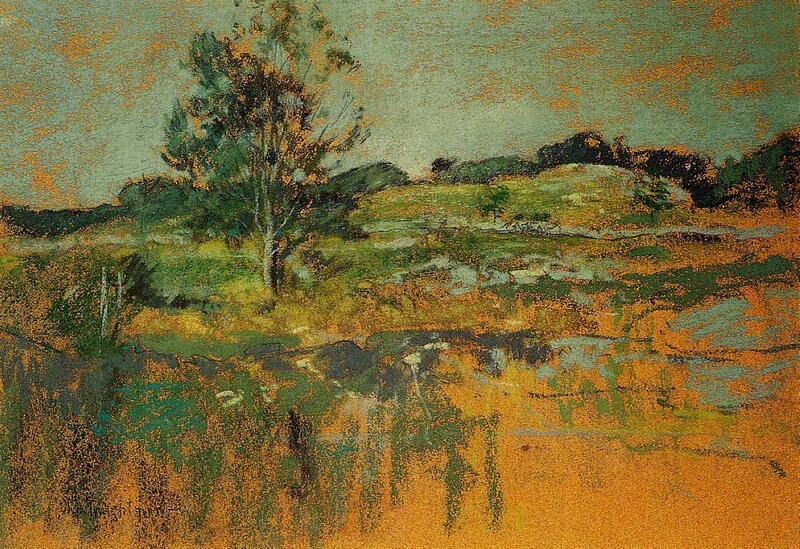 Although only five years Twachtman's senior, Duveneck, who had studied in Munich, had already achieved some success in the United States. 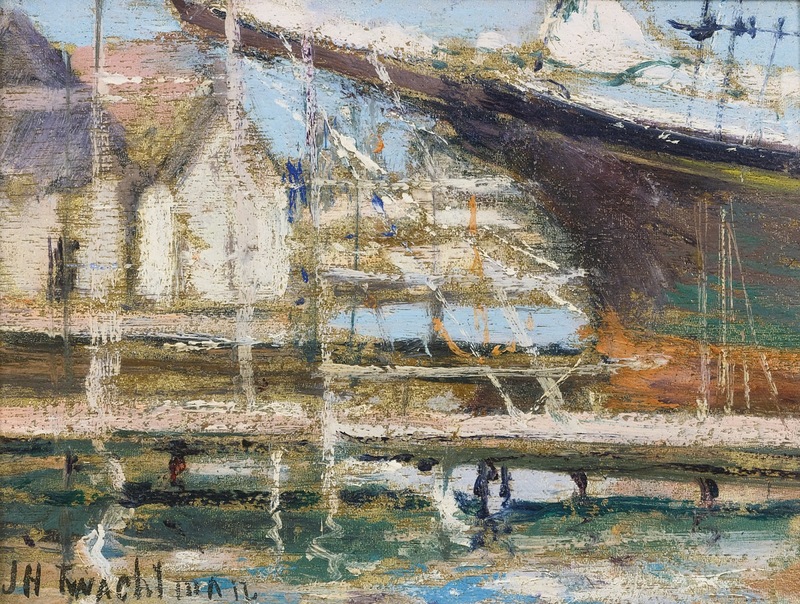 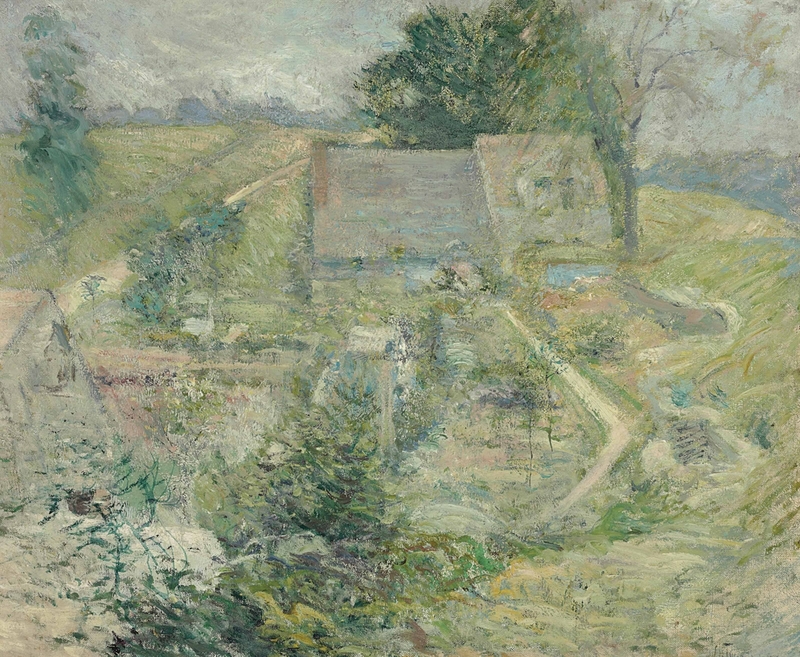 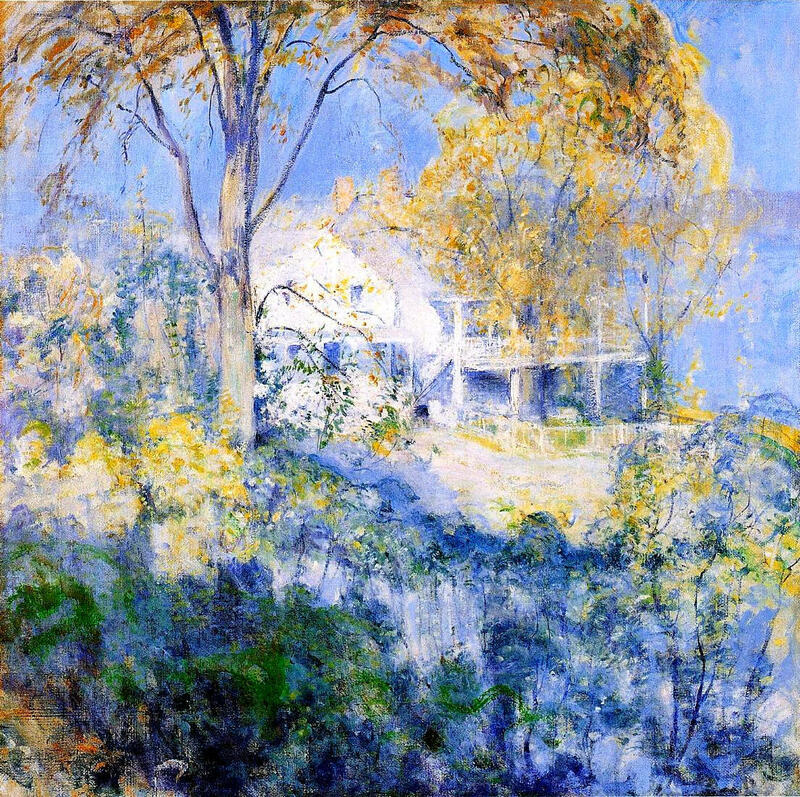 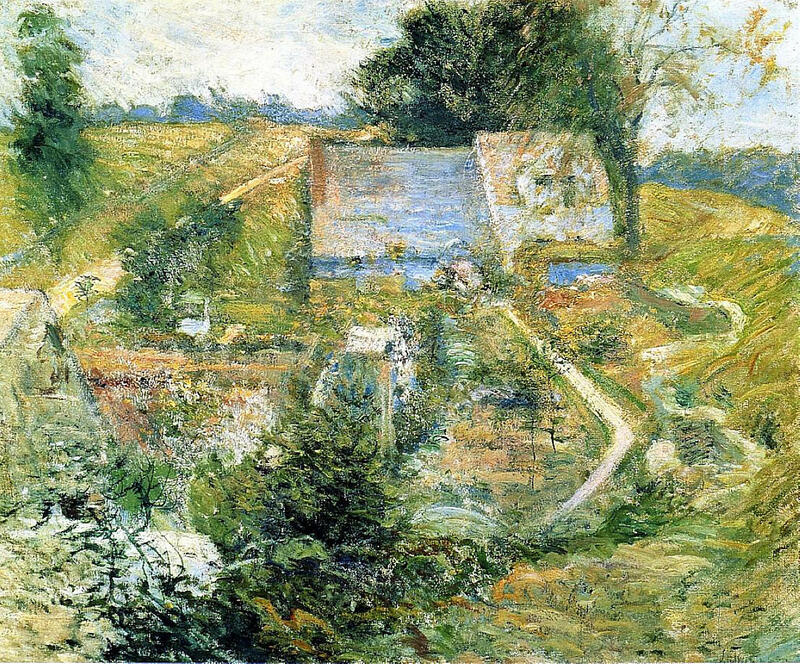 The older artist invited Twachtman to share his studio in Cincinnati and eventually to return to Europe with him. 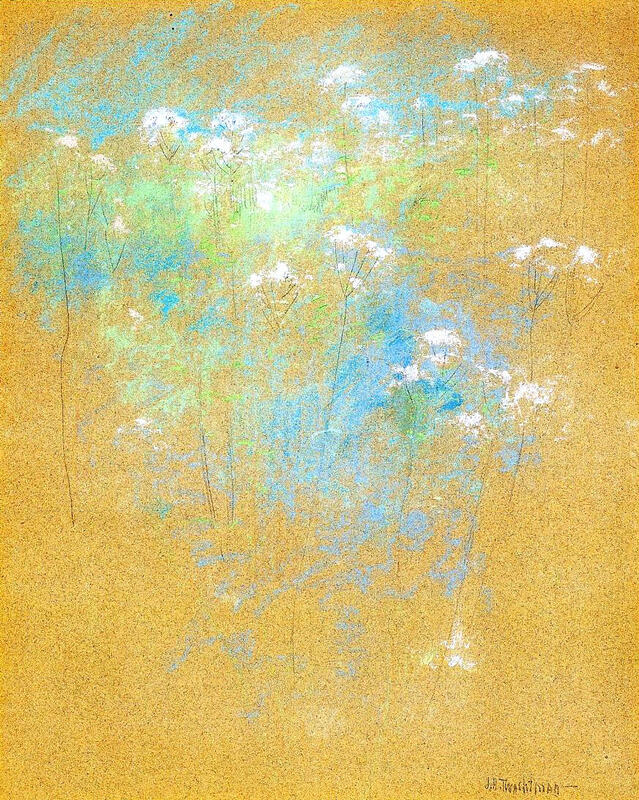 In 1875 Twachtman began to study under Ludwig von Loefftz at the Royal Academy of Fine Arts, Munich, where he learned the broad, vigorous brushwork and somber tones typical of that school. 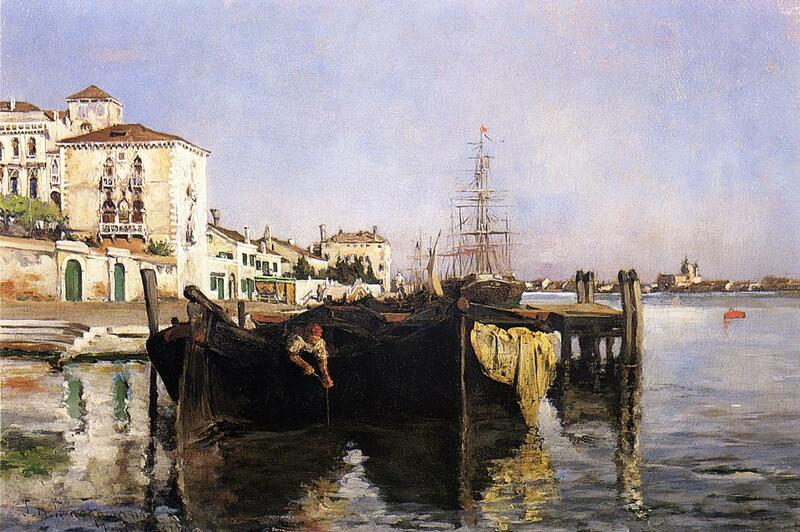 A trip to Venice with Duveneck and William Merritt Chase in 1877 did not lighten his palette appreciably. 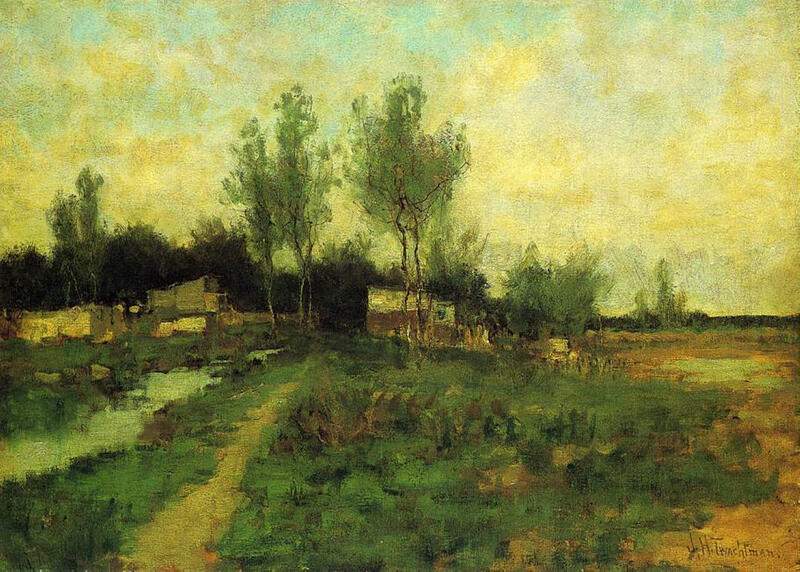 Returning to the United States in 1878, Twachtman taught briefly at the Women's Art Association of Cincinnati, but spent much of his time in the east. 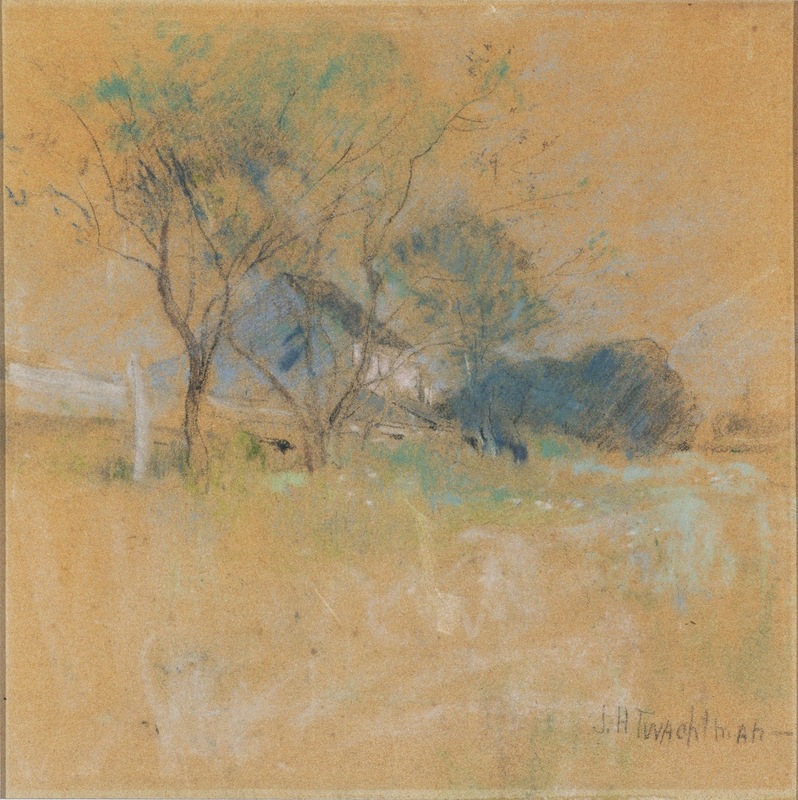 He became a member of the Society of American Artists in 1879, and the next year he returned to Europe, assisting as a teacher in Duveneck's school in Florence. 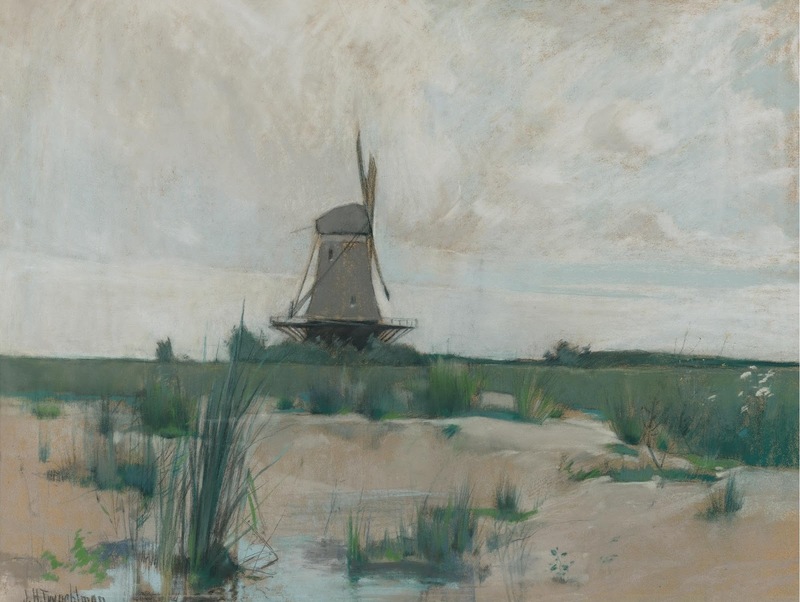 In 1881 he married Martha Scudder and the couple went abroad, where they remained until 1882. 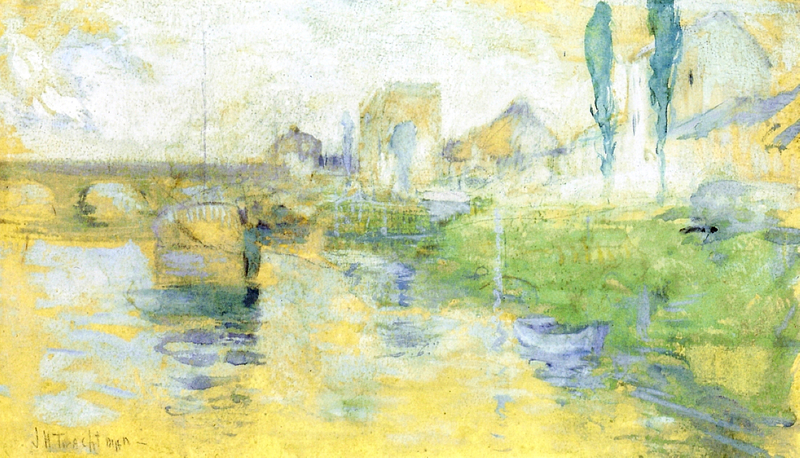 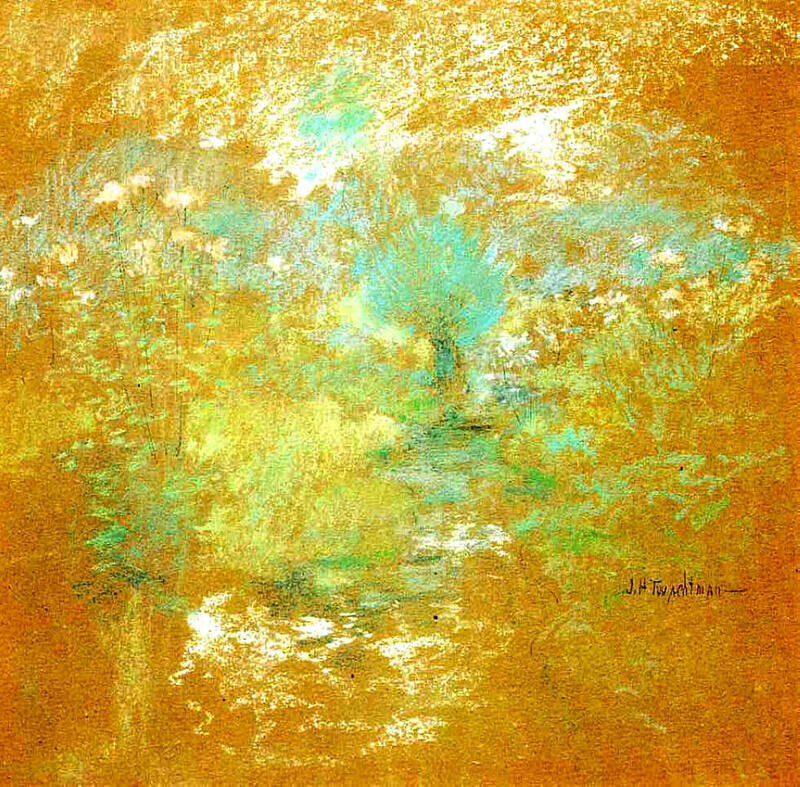 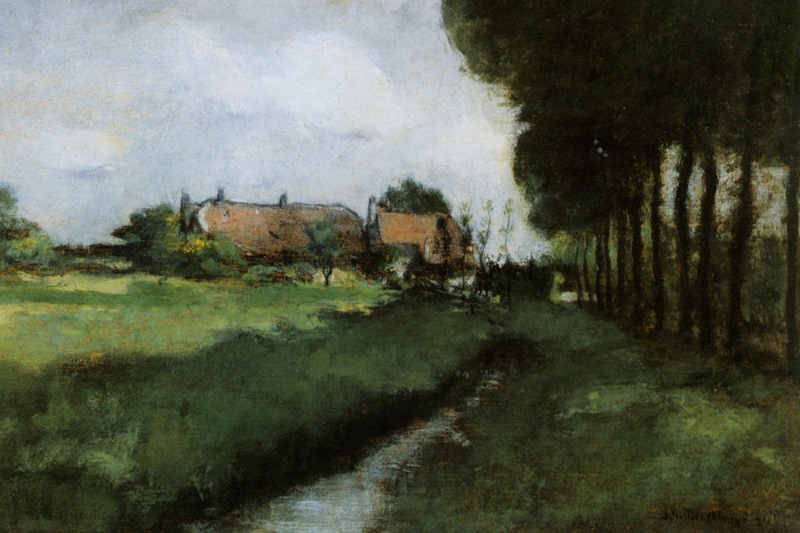 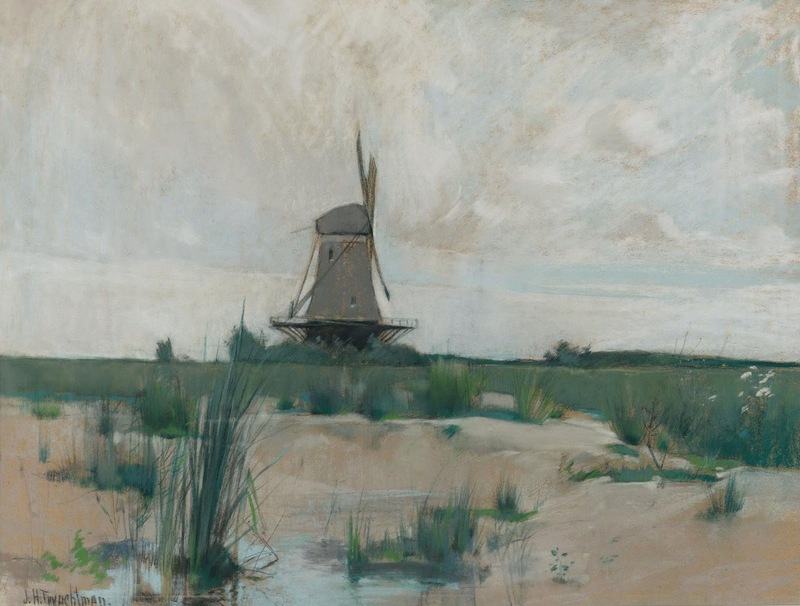 During this visit Twachtman spent time in Holland, painting and etching with his friend J. Alden Weir. 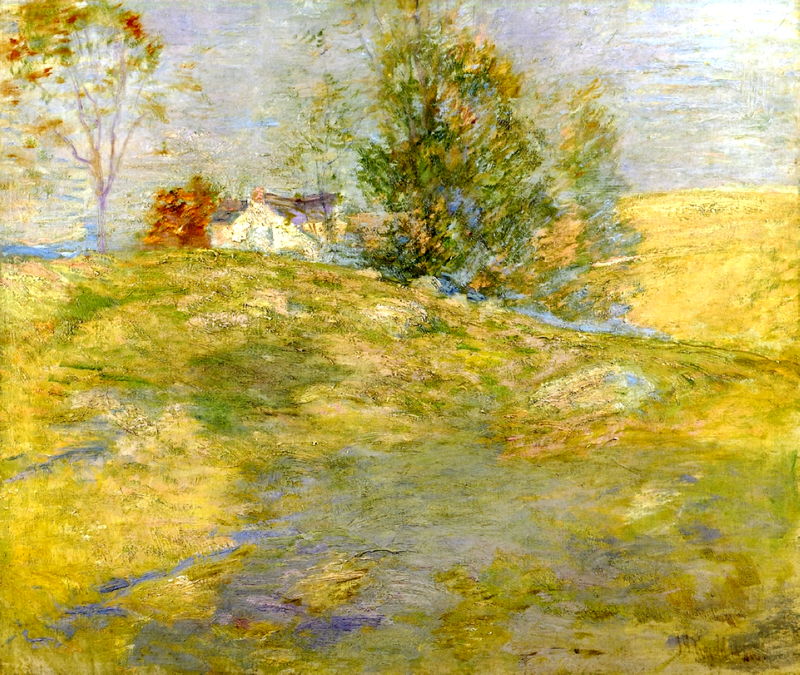 By 1886 Twachtman and his family had returned to the United States, probably spending much of their time in New York. 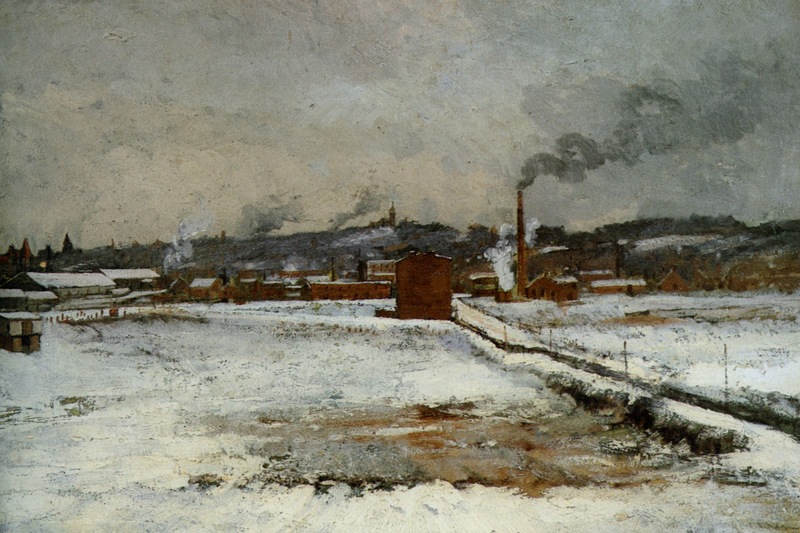 During the winter of 1886-1887, the artist supported them by painting Civil War battle scenes on a cyclorama constructed in Chicago. 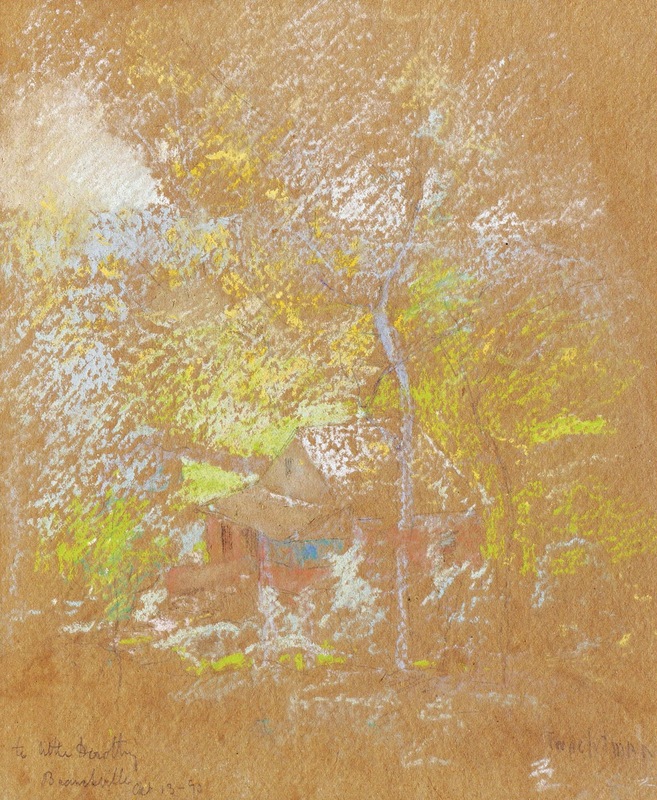 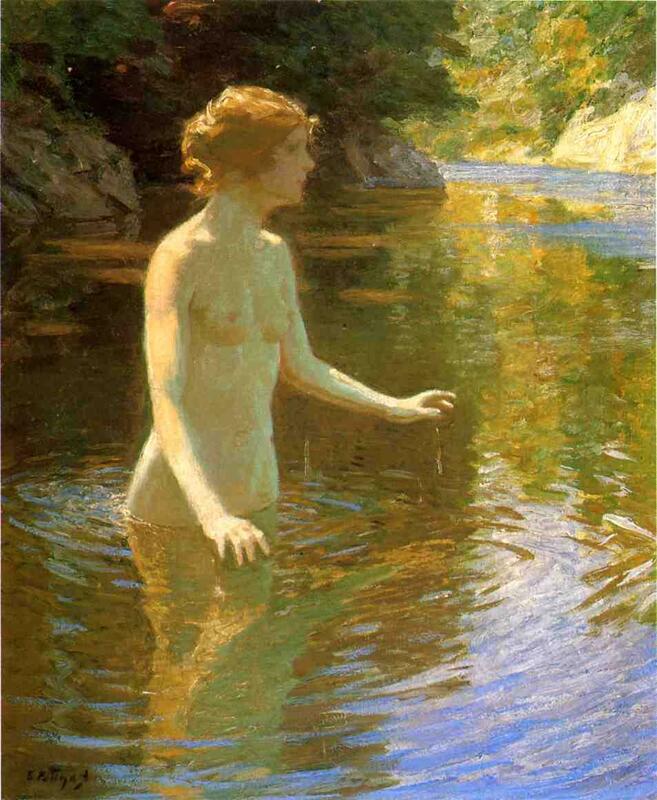 In 1889 he began to teach at the Art Students League in New York and to produce illustrations for Scribner's. 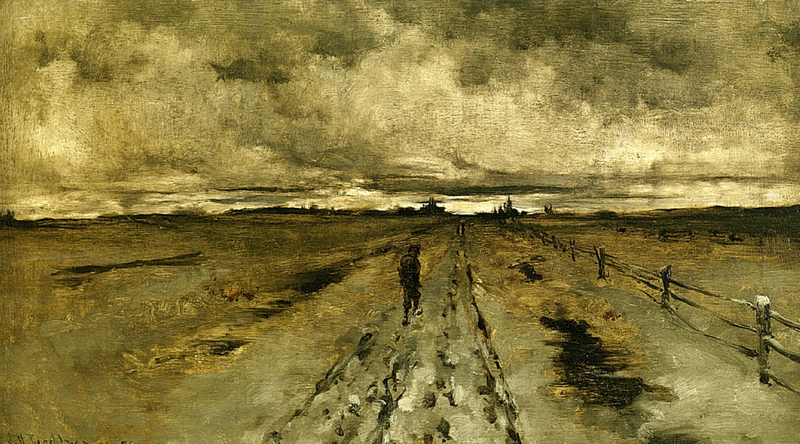 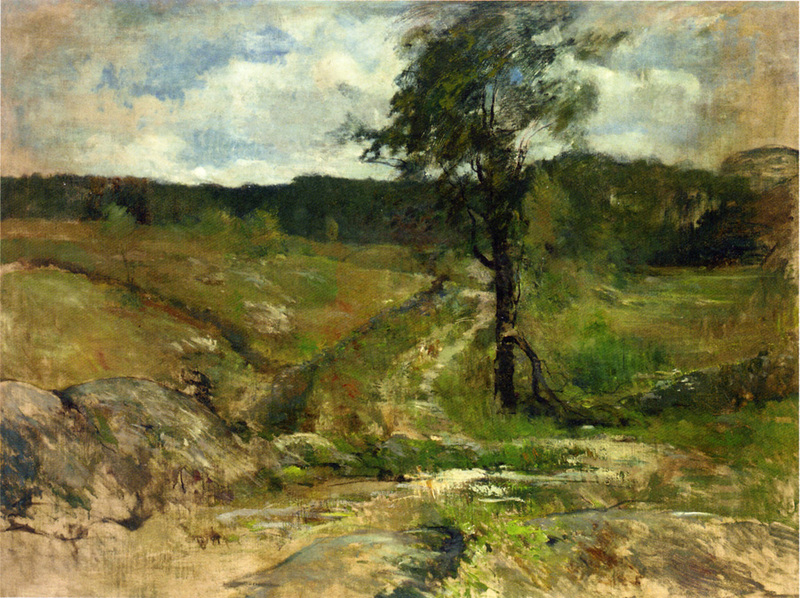 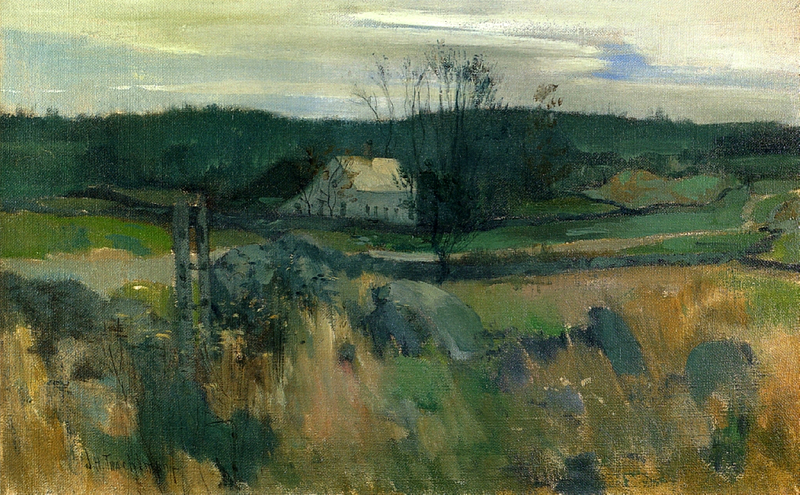 About this time he purchased a farm in Greenwich, Connecticut, which became the subject of many of his best-known landscapes. 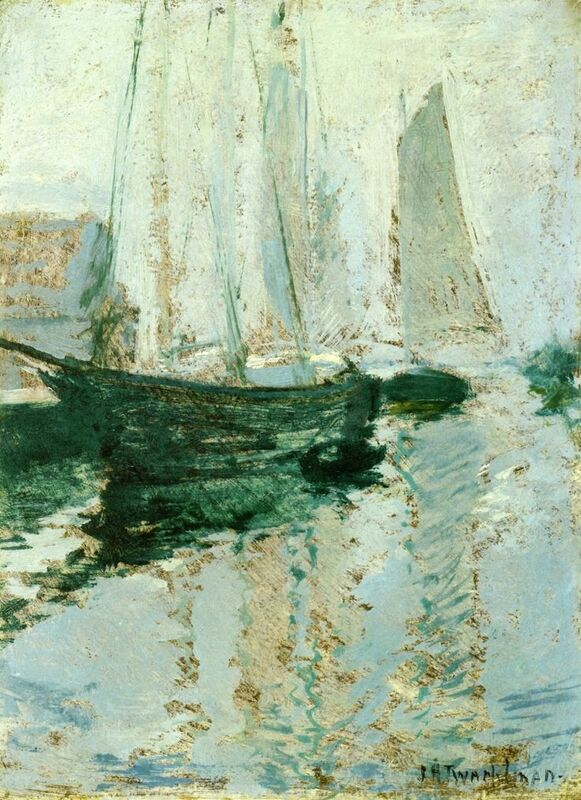 John Henry Twachtman (Cincinnati, 4 agosto 1853 – Gloucester, 8 agosto 1902) è stato un pittore Impressionista Statunitense. 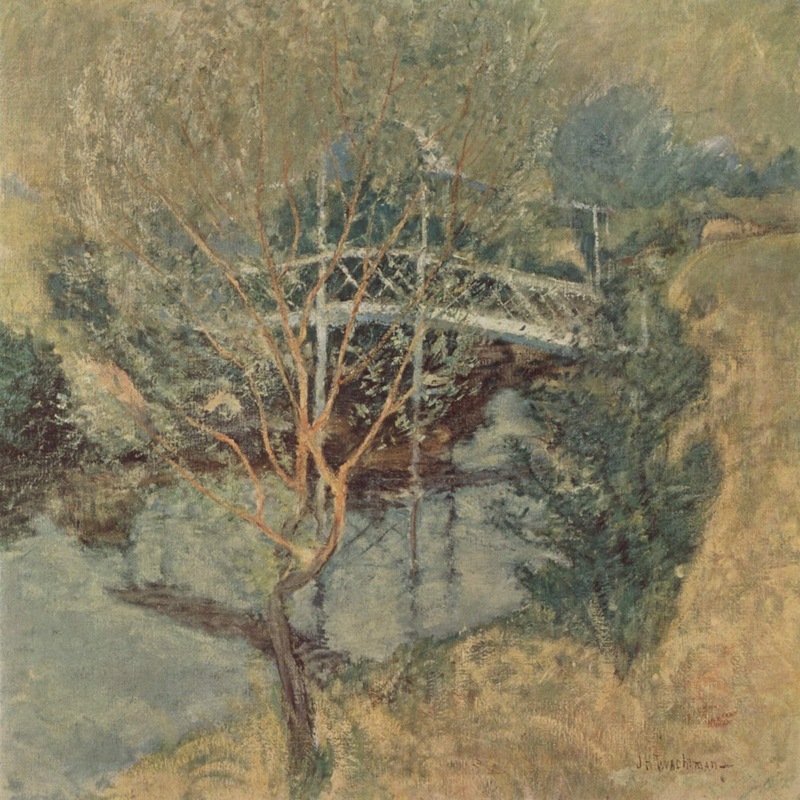 Twachtman è noto per i suoi paesaggi e per le sue ambientazioni impressioniste, sebbene il suo stile abbia subito ampie mutazioni negli anni. 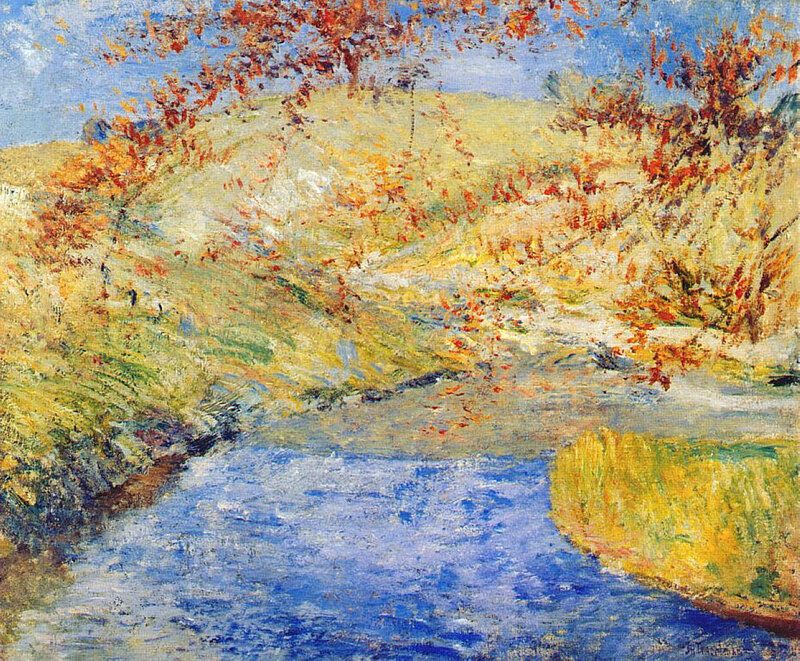 Gli storici dell'arte considerano le sue opere di impressionismo americano come le più personali e sperimentali fra quelle della sua generazione. 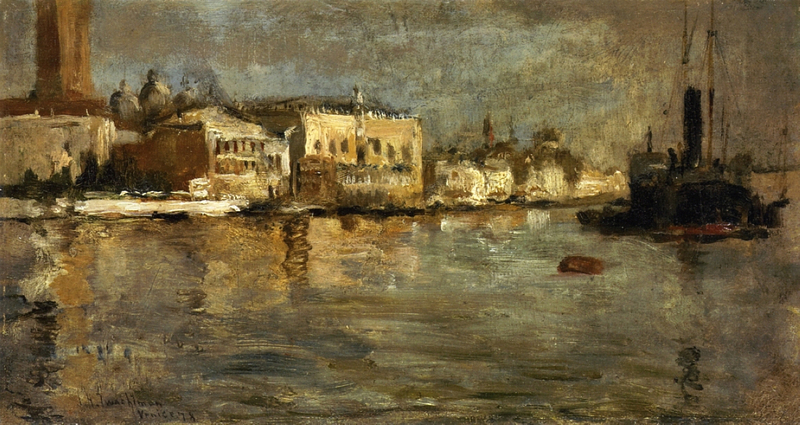 Nato nell'Ohio, apprese i primi elementi della pittura da Frank Duveneck e, come molti artisti dell'epoca, continuò la sua formazione in Europa, andando a studiare nell'Accademia d'Arte di Monaco dal 1875-1877. 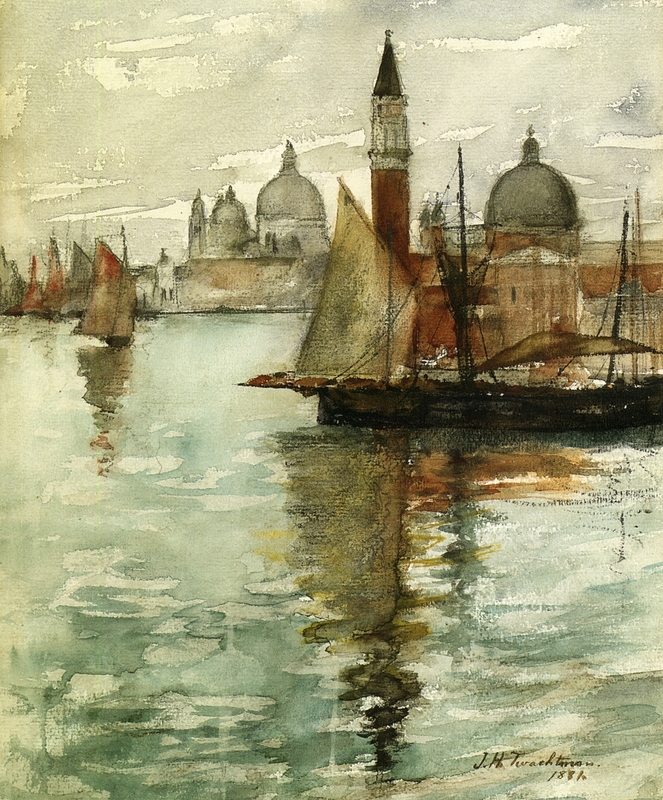 Visitò poi Venezia assieme a Duveneck ed a William Merritt Chase. 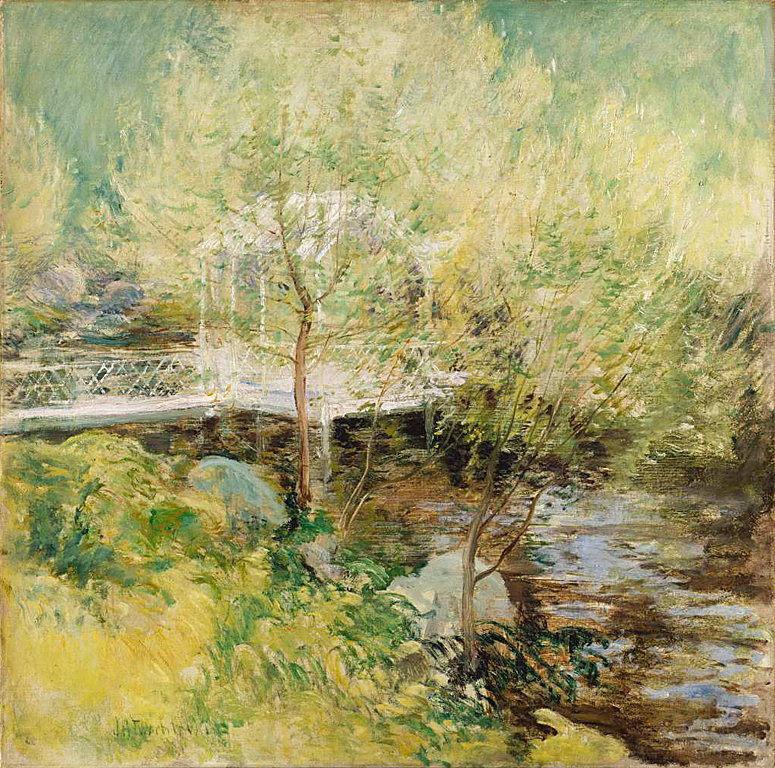 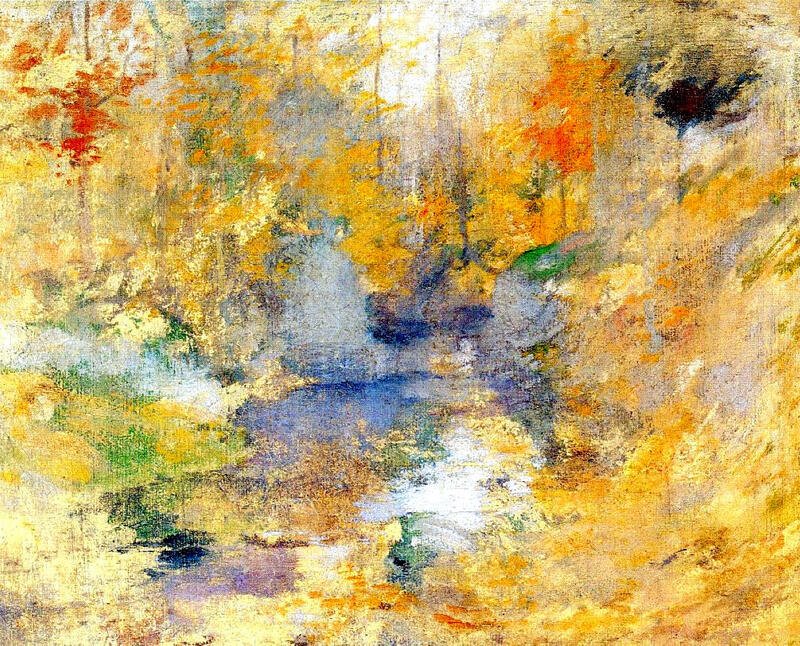 Dopo un breve rientro in America Twachtman ripartì per l'Europa, fermandosi a Parigi dal 1883-1885 per studiare presso l'Académie Julian. 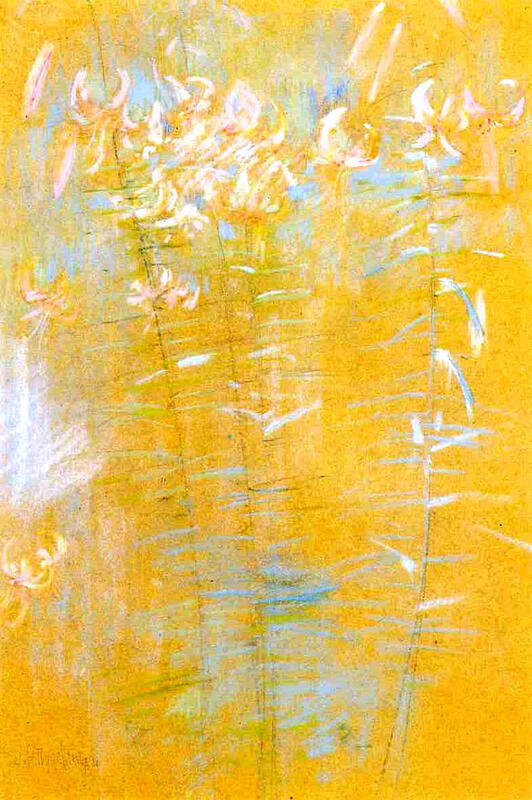 Dopo questa esperienza la sua pittura divenne più morbida e sfumata, con un tocco di stile Tonalista. 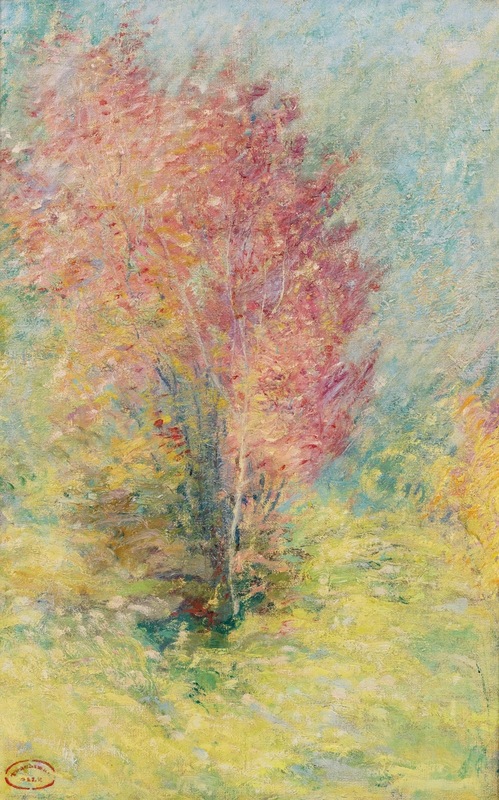 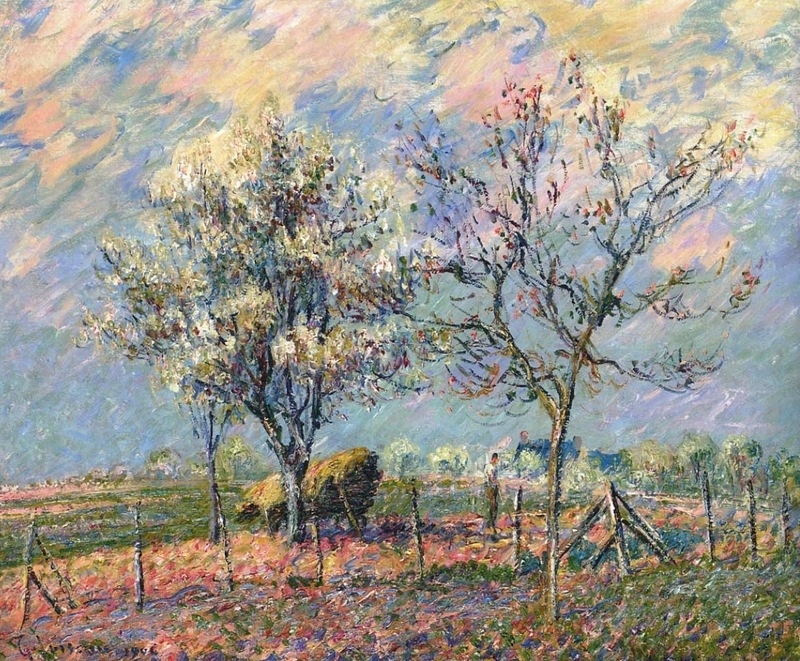 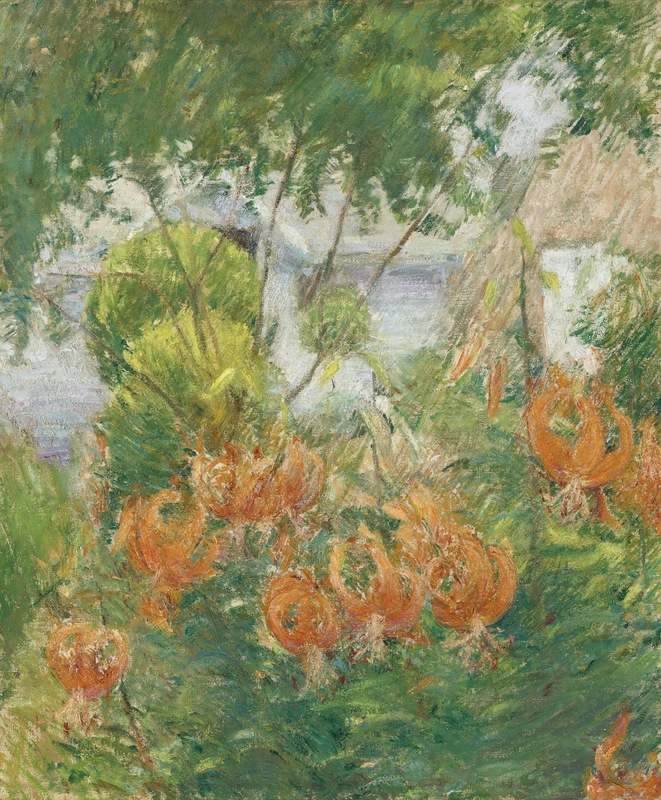 Fu questo il periodo in cui produsse gran parte dei suoi lavori migliori, come "Arques-la-Bataille" (oggi al Metropolitan Museum of Art) e "Springtime" (conservato al Cincinnati Art Museum). 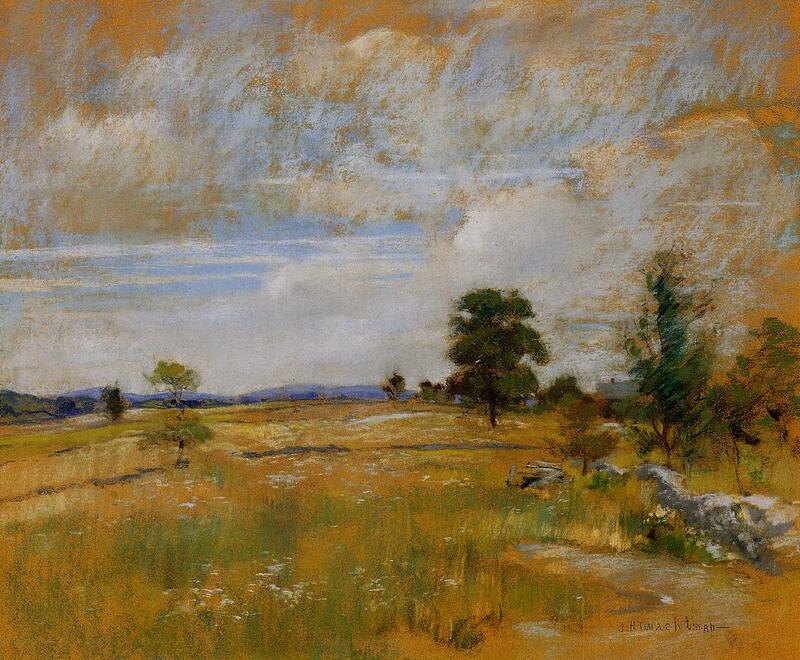 Nel 1886 tornò definitivamente in patria e si stabilì nel Connecticut. 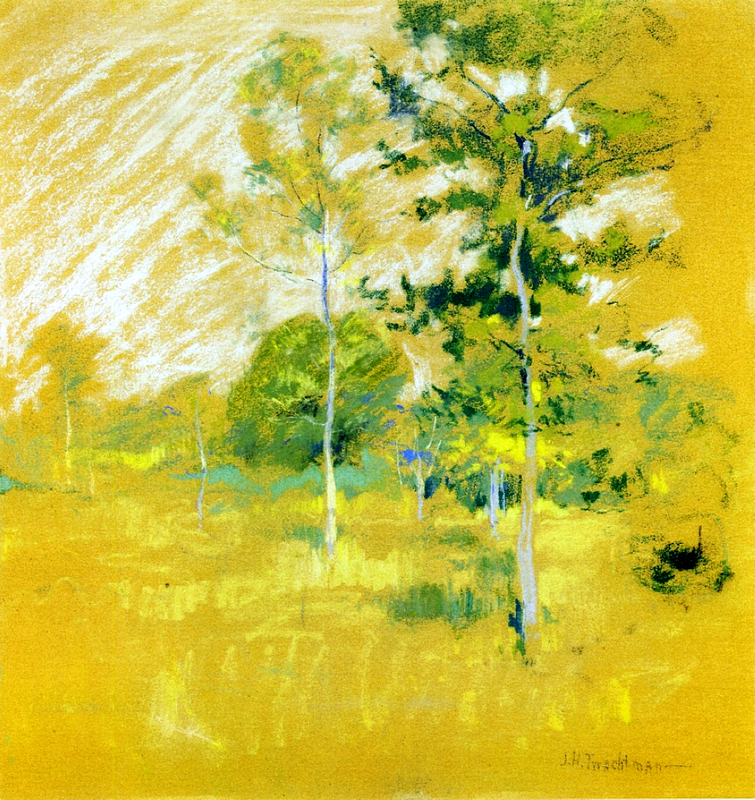 Dipinse ed espose assieme al collega Julian Alden Weir ed entrò nel gruppo dei Ten American Painters.